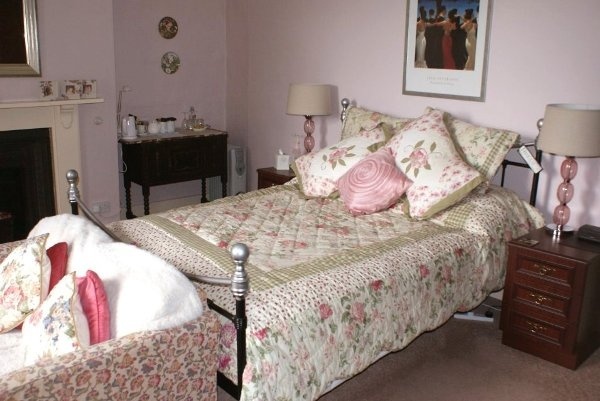 Stay in peaceful surroundings in a comfortable atmosphere at the Old Rectory, Howick Country House B&B. 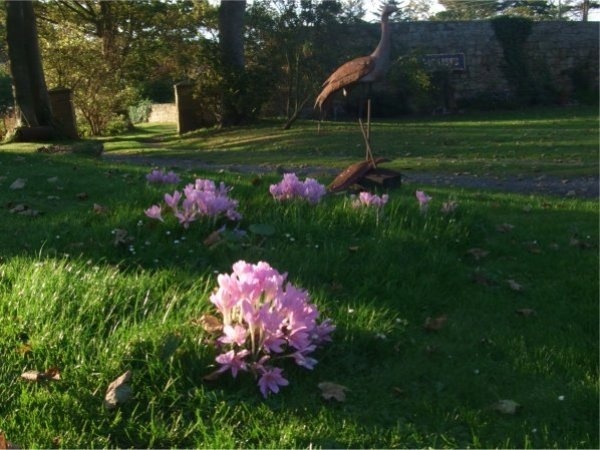 In the lovely village of Howick, close to Craster, we are ideally placed for exploring Howick Hall Gardens & Arboretum, the Alnwick Garden and Alnwick Castle, and Dunstanburgh Castle. We are only yards from the Northumberland Heritage Coast, on the Northumberland Coast Path and St Oswald's Way. 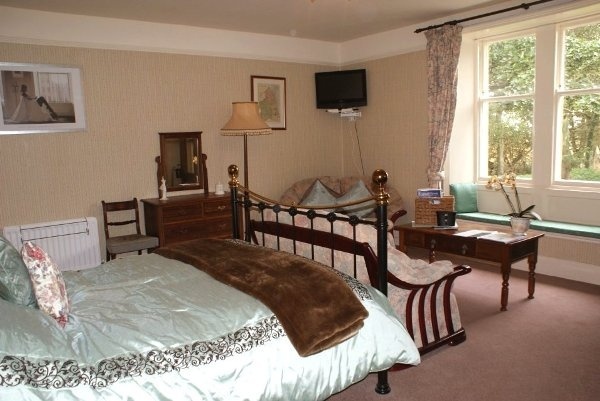 We offer spacious, comfortable rooms, a warm and friendly welcome and good food using local produce, including the world famous Craster kippers. We are close to many good pubs and restaurants where you can experience unique Northumbrian produce, including Lindisfarne Oysters, Northumbrian Hill Lamb and tasty local cheeses. 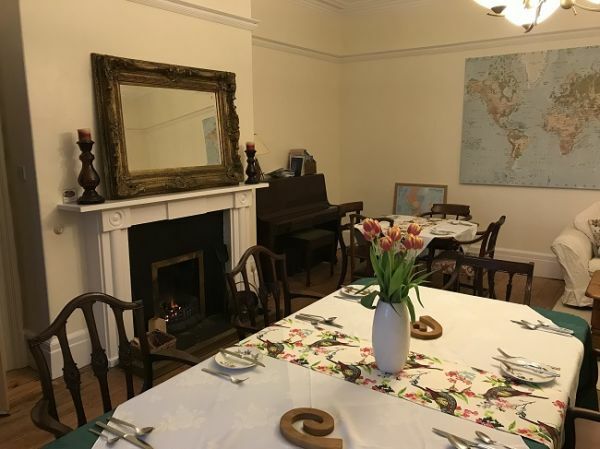 Our newly refurbished guest lounge is a cozy place to relax or socialise after a hard day exploring and you can also relax in our small sauna. There are many picturesque short works to enjoy in the surrounding fields and woods and along the coast. Enjoy watching wildlife from our garden or your room window. You can regularly see pheasants, barn owls, red squirrels, hares and many garden birds including a Greater Spotted Woodpecker. Dogs and children are welcome, as long as they promise not to chase the chickens or our cats, Owen, Smokey and Patsy. We are on the road that runs through Howick village, at the end of a 100m, level, private gravel drive. There are marked parking bays for 5 cars, but room for more. The surface is level, flat and gravel, and drop-offs can be made to the front door. There is a 2.5cm step over the front door threshold into the entrance hall. Please see our website for a full access statement. Our postcode is NE66 3LE. From the A1 take the Alnwick/Denwick slip road (B1340) and follow the signs for Longhoughton. Turn off the B1339 north of Longhougton, signposted Howick. Passing the Howick Hall Gardens, turn towards the coast then take the left hand turn towards Howick village. The Old Rectory is the first turn to the right. Approaching via the A1068 from the south, leave Hipsburn then turn right into Lesbury, following signs for Longhougton. Turn right into Longhoughton village then turn off the B1339 north of Longhougton, signposted Howick. Passing the Howick Hall Gardens, turn towards the coast then take the left hand turn towards Howick village. The Old Rectory is the first turn to the right. Approaching along the coast from the North, turn off at Embleton, following the signs for Craster. Continue through Dunstan until the road hits a section with the coast immediately to the left. Turn right at the sign for Howick Village. Continue through the village, turning left and past the Village Hall. The Old Rectory is the driveway on the left. The nearest airport is Newcastle International 35 miles to the south. Trains from London and Edinburgh stop at Alnmouth Station at Hipsburn, which is on the East Coast Mainline. There is a good bus service to Longhoughton, but only buses only come through Howick twice a day due ot a low bridge. Taxis are available but it is recommended they be booked in advance. 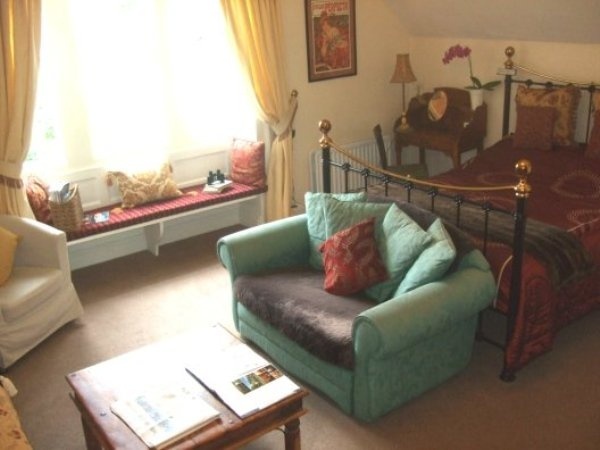 We offer one night stays for an additional charge of £20 per night. Please call or email us to book. Our family suite consist of adjacent double and twin rooms which, when booked together, share a large bathroom with both bath and separate shower. Stay 4 nights or more and get £5 per night off the standard room rate or £10 off the family suite rate. Just book online as usual and we'll adjust the price on your final bill. Available from 1 November 2018. Stay for 5 nights or more and get £10 per night off the standard room rate or £20 off the family suite rate. Just book online as usual and we'll adjust the price on your final bill. Available from 1 November 2018. 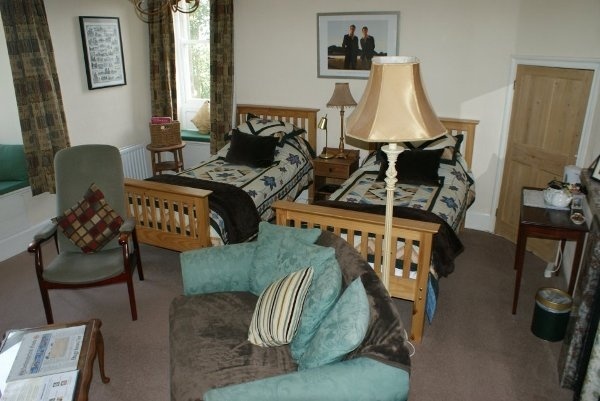 As a B & B, the Old Rectory is close to faultless as many other reviewers have accurately commented. 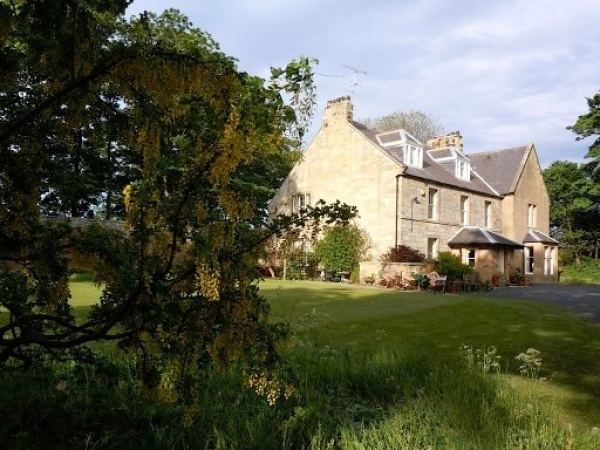 However it also provides an excellent base to explore Northumberland, from its stunning - and endless - white sandy beaches, to its castles (in every state of repair and disrepair) to the forests of Kielder and moors of the Northumberland National Park. For dinner, there are no less than three excellent hostelries less than an hour walk in either direction along the coastal path (and very navigable after dark with a torch and a local brew inside you). A longer walk along the coastal path up to Bambrugh takes you across stunning broad beaches framed by the vistas of castles, and a short drive inland and you can visit the working horses of Hay Farm and the eclectic haunted castle of Chillingham (with a lot more besides of you have the time!). We saved a visit to the puffins of Farne Islands for our 3rd and final day, by which time it had unfortunately became too blustery, and our stay didn't overlap with any of the dark night events at Kielder Observatory... HOWEVER if Jude and David do start their own dark night watching at the Rectory it would give us another great excuse to make the long trip back up to Howick! Try the Smoked Haddock Kedgeree! 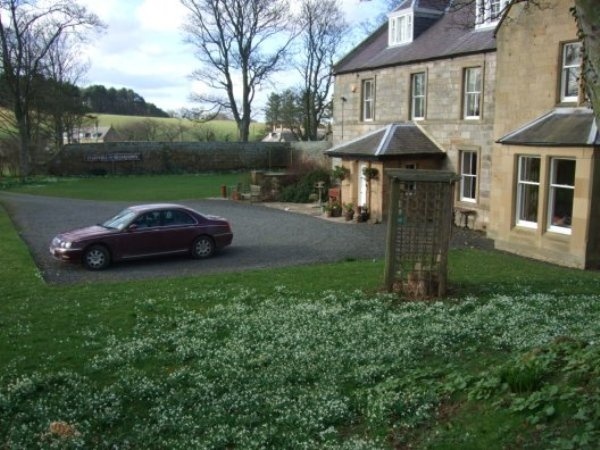 Another great stay with Dave and Jude at the Old Rectory in Howick! Loving the new breakfast menu - the Smoked Haddock Kedgeree was AMAZING!!!! Despite the weather we still got out to do the daffodil walk which was lovely! Thank you to David and Jude who couldn’t have been better hosts. They made us feel so relaxed and welcome from start to finish. We stayed in the beautiful and immaculate Holly room with the most comfortable bed and en suite with views of the gardens (including the chickens!). The breakfast was excellent, we both enjoyed the cooked breakfast and lovely locally made marmalade with our toast! 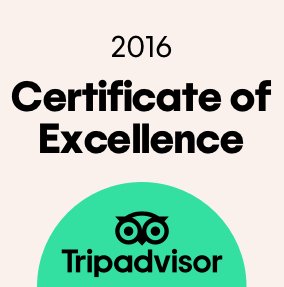 David and Jude have excellent knowledge of the local area so if you are on a walking holiday or want to come to Northumberland to explore they will be able to help you. 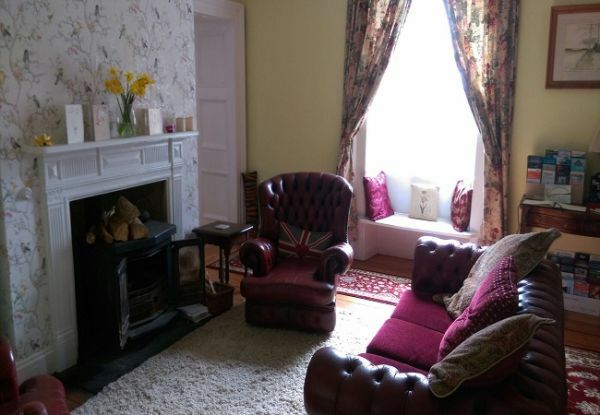 My partner and I highly recommend The Old Rectory to anyone wanting a countryside retreat. Beautiful country house hotel - thank you both. We’ll see you again soon! 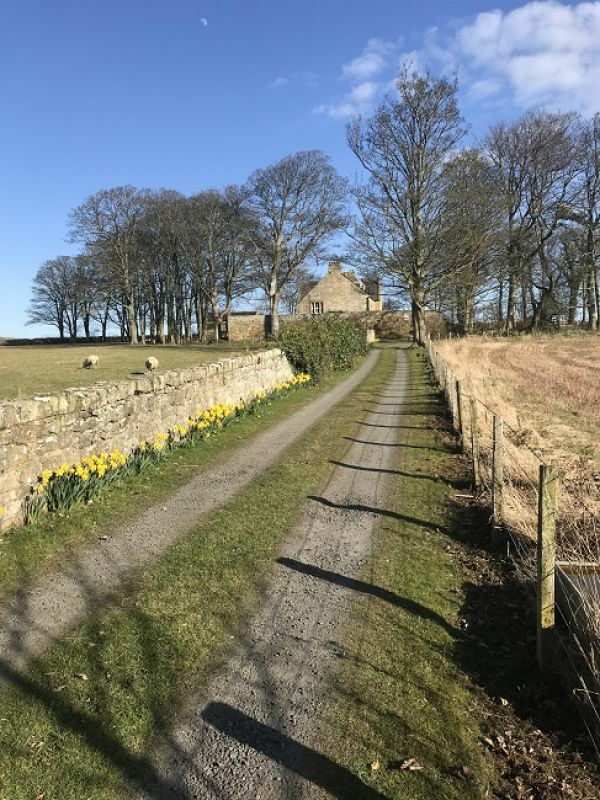 We were looking for a place to stay while walking the Northumberland Coastal Path.and we could not have had a better experience. 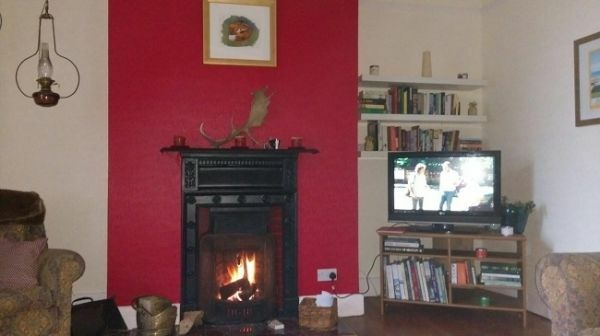 Coal fires, a cosy living room, a huge bathroom with a massive bath and a long view over the garden and haha. Jude and David provided us with a great chilli and brown rice supper with a very reasonably priced good wine and a Victoria cake. Just the place for a winter getaway. Thank you !